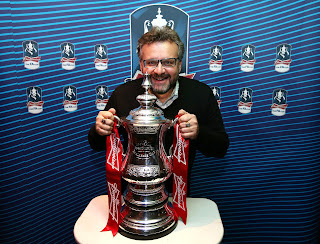 Hey, call me Scudamore! I've plans to reduce your power! UEFA's considering ditching the Europa League in favour of extending the Champions League from 32 to 64 teams. 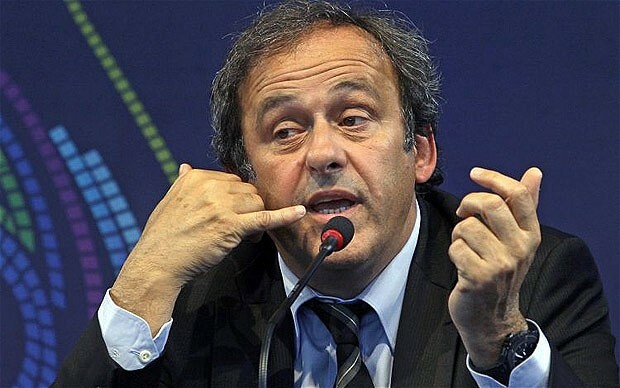 Michel Platini’s pondering a format change to European competition from 2015. It means seven English and five Scottish teams could enter at a qualifying round stage. What's the joke about fourth being the new first? It works for Arsene Wenger, who rates fourth as good as winning a trophy. Now try seventh - and work out the damage that does to competition in the Premier League and other top leagues around Europe. Scrapping the Europa League effectively makes all the domestic leagues feeders for the Champions League. A bunch of Europa Leagues in fact. 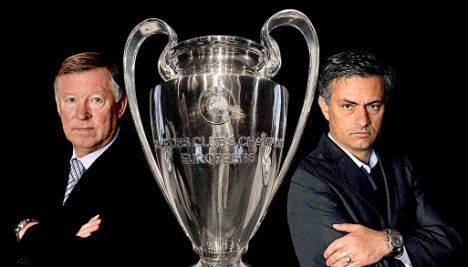 Could the European Cup get bigger than this? Seriously, there’ll be a lot of funny fixtures between teams who’ve no hope of progressing – and lots of empty stadia. Motherwell v Getafe? not even Sky's best hypemeisters would get me to watch that – and a bigger Champions League represents a challenge to the Premier League and La Liga, particularly on a global level. In developing football nations where new fans are exposed to lots of competing TV pictures, won't they make the connection that somehow a pan European competition is higher than a countrywide one? Of course they will. Lovely trophy - but it's over. For a couple of years, the thrill of being an Aston Villa, Hibernian, Real Betis or Chievo fan playing for the big one will carry the tournament, but sooner or later the Champions League brand will be dininished by rubbish football before January each season. UEFA's plan is a Euro Superleague by the backdoor - and will effectively make all domestic leagues the feeder competition to it. I'm sure the Premier League will have words to say about becoming what's effectively the Europa League at the moment. It's the truth that daren't speak its name at Old Trafford. When is Sir Alex Ferguson going to retire? It's a question being asked of The Govanator more and more frequently - and his answer is always along the lines of "it's not on the horizon". Seasoned Fergie Watchers know why. Firstly, way way back in 2001, when he announced his retirement with a year's notice, the lap of honour descended into indiscipline, no trophies for nearly three seasons, home defeats by Middlesbrough and three third-placed finishes in four seasons. Secondly, everyone knows Fergie is deeply affected by the death of his own father soon after his retirement. "Such talk is for the young", and "without work, there's nothing else". If there's one thing uniting Fergie with Arsene Wenger, it's on wearing carpet slippers after 60-years-old. 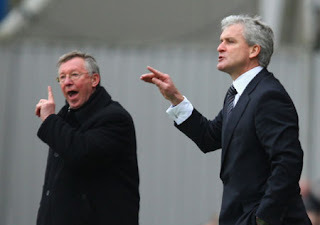 ﻿﻿And since establishing that mentality, doesn't Sir Alex look well and in command? It's a long way from the mid-nineties when he looked vulnerable. His face was blotchy, his hairdryers were powered by Sellafield. Utd ledge now ex-City journeyman. No chance Sparky. It's even rumoured that Bryan Robson was packed off to Middlesbrough as player-manager because a poll in the Manchester Evening News had Captain Marvel ahead of Fergie as the fan's choice for manager. How insane does that look now? Now even his glasses look modern and he's learned not to throw his chewy on the floor at the full-time whistle! Well, this is all fine and dandy for Fergie - but it's not particularly helpful for the raging multinational, multi-income streamed business model that he helped create. As time draws on, Manchester United's board and owners will need to defend their market position against the likes of Barcelona, Milan and the Noisy Neighbours with a bloodless succession. But how can they deny Fergie when he keeps winning? As he nudges 70, isn't this a niggling issue at Old Trafford? Would the board be cynical enough to sack him if United went on a hideous run of results or after a catalogue of player indiscipline? But who for the toughest act to follow in football? comically, it's been on the news agenda for over a decade and thrown up some names, which in hindsight, look absolutely ridiculous. Can Jose's reputation outlast Fergietime? Serious candidates have come and gone: even Roy Keane, Steve Bruce and Mark McGhee were talked of. More recently it was Steve McClaren, Sven-Goran Eriksson (that nearly did happen) and Martin O'Neill. Then Mark Hughes and David Moyes. Now we're left with Jose Mourinho, who's long expressed the desire to return to the Premier League with United. Trouble is, his tenure at Real Madrid may be exposed to the Latin winds of change far quicker than Ferguson's desire to step aside here. It's left to speculation as to who might be regarded as a top or available boss in three years time! Moyes is the leading domestic name, although sources on Merseyside reckon he'd only want to be next but one boss at Old Trafford. So when Fergie does go this time, I predict it'll be a coat and dagger affair. As discreet as United can be, he will go and a new manager will be unveiled - all in 24 hours and probably in June. I'm not even going to predict the year! 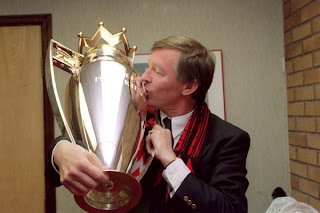 But I also believe Sir Alex needs to be remembered as much for the way he stepped down as for his phenomenal success. He owes it to both his successor and the club. Just accept it. Moyes is happy at Everton! 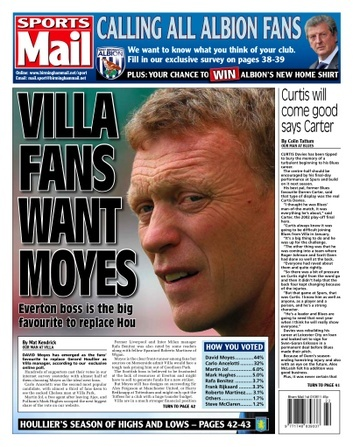 Whenever Sir Alex Ferguson fields succession questions in those rambling Friday news conferences, when the likes of Spurs and Villa seek new managers, it's been David Moyes who's provided the easy headline. How long will he stay at Goodison before feeling the need to exercise the wider resources or cheque book of a bigger club? When will ten-years-and-counting be enough for him to cease making silk purses out of sow's ears down Gwladys Street? But sooner or later, we'll have to face the facts - and it doesn't suit sports journalists looking for a great story. He's happy at Everton and wants to stay. Moyes clearly has a special relationship with owner Bill Kenwright and that's just as well - because he's going nowhere either! Everton's been For Sale for years but as Keith Harris, who's found investors for five Premier League clubs and was charged with finding a buyer for the Blues, conceded that in a economically humble city with Liverpool FC in it too, investors aren't exactly going to beat down the door. Kenwright once said that if Moyes wanted the keys to United post-Alex, he'd personally chauffeur him to Old Trafford. But that won't happen either! Well, not in the foreseeable future. Because while he's not discounting the Old Trafford job, Moyes has privately admitted to those on Merseyside that he'd rather be the next-but-one Old Trafford boss. Succeeding a legend like Fergie is a hiding to nothing, a poisoned chalice: canny Moyes would rather wait for the itinerant Jose Mourinho or Michael Phelan to shuffle off and keep the seat warm for him instead. And why would he leave Everton at the moment? His current squad is widely regarded as his best yet. Phil Jagielka and Leighton Baines are in contention to become England regulars and Silvain Distin's a great pro, while Jelavic and Fellaini bring craft and quality to their attack. The return of Steven Pienaar and experience of Philip Neville means the Toffees hold their own in midfield. The toughest act to follow: this one's twenty years ago. This is a breakthrough season - because even if Everton don't qualify for Europe, they'll probably achieve something not yet done in Moyes' reign: finishing above Liverpool for a second season running. This is a step to establishing Everton as a major club. Moyes' stock and reputation's at an all-time high too. He's won the LMA Manager of the Year award three times - only Sir Alex can match that achievement. Financial Fairplay rules will reward parsimonious stability too. The meek shall inherit the earth. It's what the boardrooms at Everton and indeed Arsenal have been banking on for years - through barren trophyless campaigns. Then there's the 70% rise in TV rights: that'll make for a more level playing field when Everton compete with bigger clubs for players. And when you take all of this into account, where's better for Moyes to manage? No. David Moyes is a Toffee into the future and the rest of us will just have to chew over that. 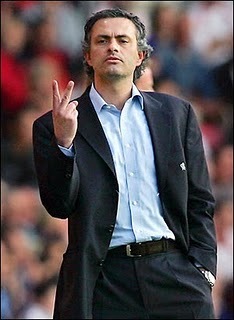 Roman Abramovich sacked Roberto di Matteo before 9 o'clock this morning. A dip in Premier League form and the threat of an early Champions League exit was enough for the oligarch to operate the oft-used managerial trapdoor once more. 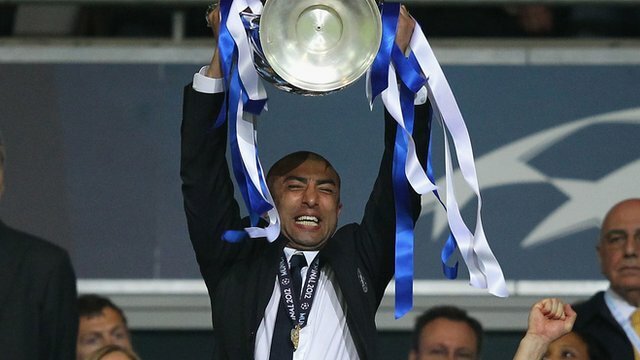 It's scant loyalty for extraordinary achievement; Di Matteo exits Chelsea with head held high after delivering Abramovich his Holy Grail; the Champions League title. And in an equally eye-raising decision, Rafa Benitez, who rejected the chance to join Chelsea last season and unpopular with their fans, becomes interim boss to the end of the season. Here's some newspeak on Di Matteo's departure: followed by Roberto's afterwards. "Chelsea Football Club has parted company this morning with manager Roberto di Matteo. The owner and the Board would like to thank Roberto for all he has done for the club since taking over in March. Roberto helped guide us to an historic Champions League victory and a seventh FA Cup. We will never forget the huge contribution he has made to this club's history and he will always be welcome at Stamford Bridge." 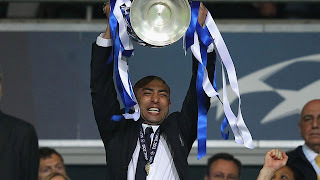 Roberto Di Matteo said: "It was an honour for me to be appointed manager of a club that I loved playing for and one that is so close to my heart. I am extremely proud of the successes and trophies that we were able to bring to the club in recent months. 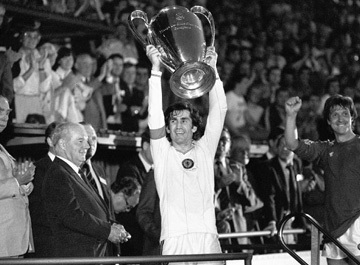 “Lifting Chelsea's first Champions League trophy, in Munich, was the best achievement in club history and without doubt the highlight of my career to date, both as a player and manager. It is a memory I will treasure for the rest of my life. League Managers Association CEO Richard Bevan, said: “The LMA shares Roberto’s disappointment following Chelsea's decision to relieve him of his managerial duties. What cannot be questioned is Roberto’s passion for the club and the honesty and integrity he has shown throughout his time in charge. His record of a Champions League title and FA Cup triumph, speaks for itself, and he can be incredibly proud of what he has achieved in such a short space of time. 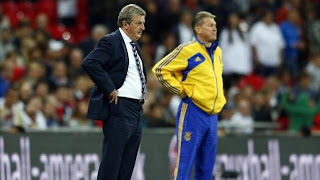 The dust may already be settling on a mere friendly which will record a Swedish win over England by four-goals-to-two in Stockholm. Zlatan Ibrahimovic salutes the home crowd. But what'll live long in the memory was the individual brilliance and performance of Zlatan Ibrahimovic. Scorer of all four of Sweden’s goals, the final one being so exquisite commentators reached for their thesaurus to describe it adequately. 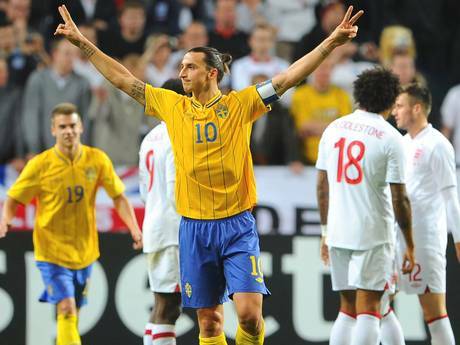 Having already scored a hat-trick, Zlatan granted himself freedom of the city of Stockholm. Great players play with freedom when the game is won but even by his lofty standards, his final strike was special. England keeper Joe Hart came way off his line - off his line? off his line?? he was virtually playing centre-half – but the clearance bounced a mere few yards, so with his back to goal from 30 yards, Ibrahimovic launched himself in the air with a bicycle-kick of such looping precision and accuracy that even Shawcross, England’s last line of defence right on the line, could do nothing about. VIDEO: This is the goal in Swedish! AUDIO: Smooth Radio bulletin describing the goal. As Steven Gerrard celebrating his 100th cap conceded, “an overhead kick from that distance when the ball is six-feet in the air – only certain players can do that, and he is a special player”. As for Zlatan, “Magic, magic… haha! How can I do that in a friendly? I just enjoyed it”. It ranks as one of the great goals scored in recent decades - right up there with David Beckham's last-ditch free-kick against Greece to secure England's place at the World Cup, Rooney's bicycle kick in the Manchester derby and Di Canio's scissor kick for West Ham in the Premier League. Gracious Gerrard confirmed he'd held on to his England shirt. Instead of giving it away to an opposing player, he's giving it to his father, Paul. Ibrahimovic has often struggled to perform at club level against English sides - but that's to ignore his overall record and the who's who array of clubs he's played for. Both Milan clubs, Barcelona and Ajax to name but four. It's a shame he never played in the Premier League and Paris St. Germain's gain is someone like Tottenham or Manchester City's loss. Here's a Smooth Radio bulletin from my morning's on the Simon Bates Breakfast. It's always fun to work with a legend like Simon, who teaches me a great deal about broadcasting and life. It's the morning of Sweden v England. No Rovers Return for Harry - but he wants a hotseat! Harry Redknapp’s recent trip to Lancashire for talks with Blackburn Rovers was the clearest indication yet of a continued yearning for management. Rosey 47 and his other tax exile doggie. The 65-year-old ex-Tottenham boss emerged as a surprise candidate to succeed Steve Kean at Ewood Park. Redknapp faced competition from former Blackburn defender Henning Berg, interviewed the day before and ultimately successful. Blackpool’s Ian Holloway was talked of before his cloak and dagger switch to Crystal Palace. But in the end there was no Rovers Return. A drop down to the Championship for the England favourite eight months ago and a daily commute from his Canford Cliffs paradise was a step too far. It would certainly have proved a major coup for Rovers if he took the job. I thought at the time the interview was a merry dance which suited both Redknapp and Rovers. But it advertises Harry and puts a flag in the sand to measure Rovers’ ambitions too. 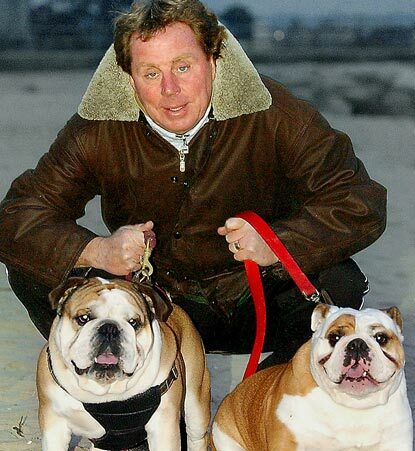 There's no question Redknapp's about to make a return. Football's in his blood. He comes from the English game's leading dynasty. Jamie's his son, Frank Lampard's his nephew - but more importantly, he's of a "certain age". Experience is de rigeur in football. When Sir Alex Ferguson says 'there's nothing' after management and Arsene Wenger says retirement talk is for young people, Redknapp's also of that ilk. His return is rubber-stamped. And after Queen's Park Rangers less than auspicious start to the season, Mark Hughes' position must be in question. 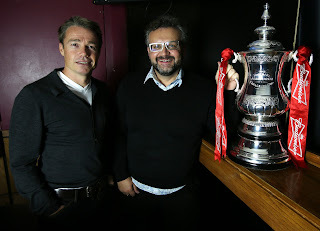 I interviewed the former Chelsea and England left-back Graeme Le Saux about his experiences of winning, and indeed losing Cup Finals and I got to ask him why he thought Chelsea had dominated the competition in recent years. Graeme also recently came out of retirement to play for Wembley in the preliminary rounds. What was it like to play professional football again in his 40's? 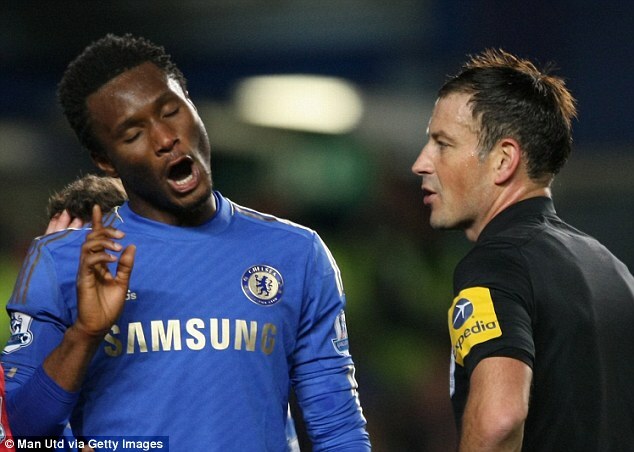 As the Mark Clattenburg controversy continues, is it time we miked up referees? Jonny talks to Sportsmedia's Kevin Hatchard, who thinks it'd be good for football. He believes it would clean up player's language and behaviour while offering us a more generous view of the man in the middle's lot. Chelsea have made an official complaint to the Football Association regarding alleged "inappropriate language" made by referee Mark Clattenburg towards midfielder John Obi Mikel. 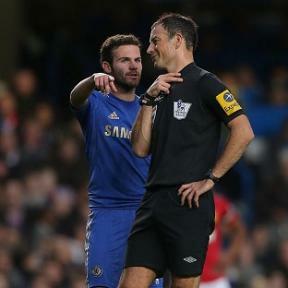 The European Champions won't pursue similar allegations involving another first team player, said to be Juan Mata. The Blues formally complained to the FA after a "thorough internal investigation". The independent panel charged with looking into this won't be able to decide between conflicting evidence, so Clattenburg will be found not guilty. It’s four English speaking officials versus a main witness whose mother tongue is Portuguese and whose English is far from fluent. It’s staggering Chelsea think they can prove anything on the balance of probability and that their legal counsel should recommend going forward. But there could still be collateral damage for Clattenburg. It may well cost him the chance of refereeing at the World Cup as our FA’s representative. There's no chance of him being found guilty. I believe Chelsea are pushing ahead just to save face. With thanks to Chris Davies of the Sunday People.